There’s plenty of reasons to send your child to an early childhood learning centre, beyond just taking care of them while you go to work. After all, they’re like sponges, hungrily soaking up new information and experiences to make sense of their ever-expanding world. The best early childhood education centres know and nurture this, helping little ones develop the skills – educational, behavioural, social – to get ready for big school and beyond. Did you know that ninety percent of a child’s brain develops by age five? It’s a mind-blowing stat and one that makes it easy to see the advantages of immersing them in quality education programs early. The latest research recommends children participate in early education program for at least 600 hours a year (roughly 12 hours a week) before they start primary school. Those who do “are more likely to arrive at school equipped with the social, cognitive and emotional skills they need”, according to current NSW Government guidelines. These develop through structured activities and play as they become familiar with reading, writing and first numbers. Taught in a fun, exciting way, it inspires a love of learning and discovery, paving the way for similar enthusiasm in the classroom down the track. Not only does early childhood education grow little ones’ minds and creativity, it also expands their social circles too as they learn to interact with new children and teachers on a daily basis. While many preschoolers may have siblings, not all of them get the chance to build relationships with children the same age, and practicing this with new faces is going to offer invaluable socialisation experience. Additionally, your child will be able to explore the fundamentals of making new friends, taking turns and working through disagreements – crucial skills to have on board when starting school. So when it’s time for your little one to enter the school gates, you’ll know they’re primed and ready to mingle with new faces. Got a budding artist or dancer on your hands? The right early learning centre can help foster this creative side, paving the way for healthy self-expression and confidence. 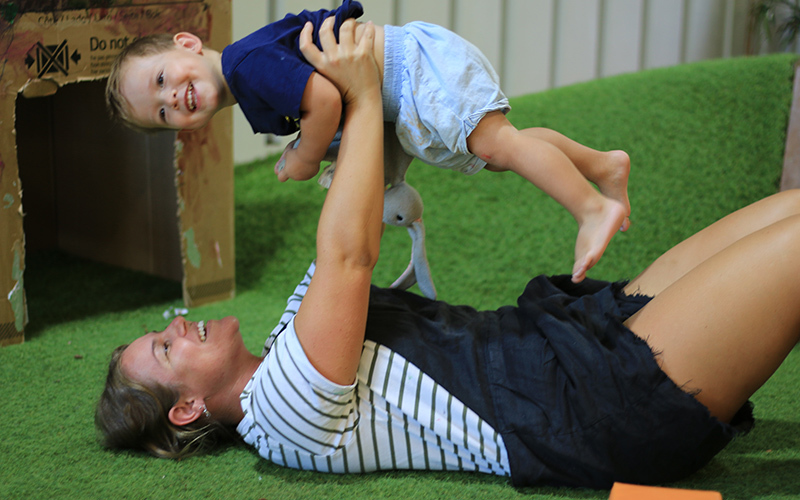 The best centres, like The Green Elephant in Sydney, provide daily creative activities – from painting to pretend play to craft to dancing – to unlock children’s natural creativity and curiosity. Not only is this vital for emotional development and self-esteem, it’s lots of fun too! Green Elephant even go on small group excursions to places like the Museum Of Contemporary Arts for extra adventures. We all want our children to become kind and confident little people, and as parents, this can sometimes feel like a huge responsibility. Fortunately, early childhood education helps develop key skills like respect and patience through play with other children and following instructions from educators. Plus these experiences teach them to regulate their emotions and develop resilience necessary to deal with outcomes and consequences that don’t always go their way. There’s a great, big world out there awaiting your little one and early childhood education lets them learn about different cultures, beliefs and family structures in a fun, friendly way. Simple activities like learning about cultural festivities or singing songs in a new language all help widen children’s worldview and encourage them to embrace diversity and acceptance, which are valuable lessons for later life.